The Jewish population of Vienna was, throughout the centuries, subject to an ever-changing history. Beginning in the 12th century Jews settled in Vienna. Often they were granted privileges and protection by the ruling family; or they were made to take the blame for deplorable conditions in the city and were driven out or murdered. And so Jewish settlements were continually established and destroyed. Jews have made enormous contributions to Vienna’s cultural scene: Writers such as Stephan Zweig, Joseph Roth or Arthur Schnitzler to name but a few. But also doctors, bankers and politicians could, since the Tolerance Decree of the 18th century, practice their professions more or less freely. 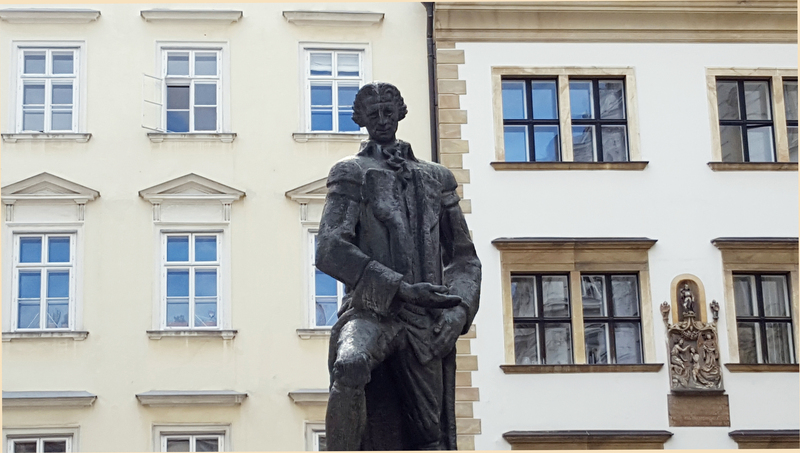 We can trace the history of the Jews in Vienna through its buildings, streets and squares, and through the fate of individuals. Memorials such as the one on Judenplatz or the “Stones of Remembrance” in Vienna’s streets are meant to help keep the crime of the Shoa from being forgotten.